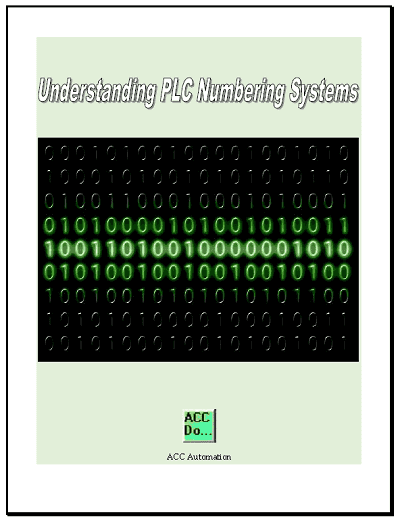 Compare and math instructions in the Click PLC will allow you to do a number of things. We will use the compare instructions to turn on bits which will indicate production shifts. Using the math instruction we will convert the number of units made to a weight. The Click PLC uses contacts in order to compare the expressions. The resulting logic can be used to trigger an output. (Internal or External) You can also use multiple compares on the same rung of logic. Once you call up any of the above contacts a dialog box will then open. This will allow you to now enter the two memory locations that will be compared. You can use the address picker or enter the values manually. Lets look at an example. Our factory has 5 different shifts. 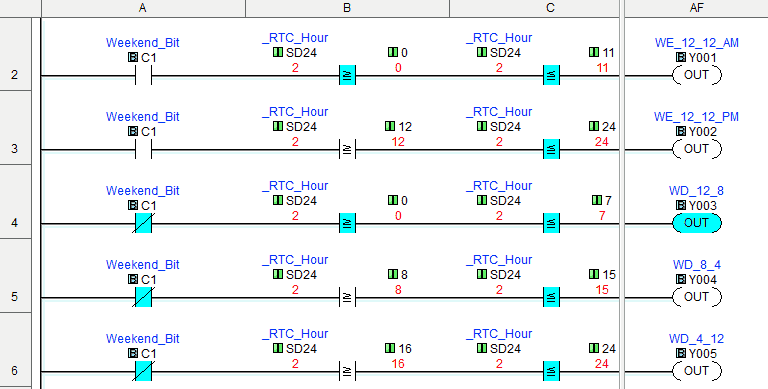 We will turn on the outputs indicating which shift we are currently in by looking at the real time clock and using the compare instructions. The first rung will determine if it is the weekend or not. Using the day of the week bit we look to see if it is either a 1 (Sunday) or 7 (Saturday). The math instruction solves equations that are entered as a formula on the screen. This is solved during the execution of the program. If floating point is used in any operation then the formula solves the equation using floating point. The solution is stored in the data format selected for the result. Result – Assigns a memory location for the result of the operation. 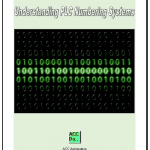 Type – This is selecting between Decimal and Hexadecimal numbering systems. One Shot – Will only solve the operation one for a transition from off to on for the rung condition. Error Flags – These flags will be set each time the math instruction is executed. Address or Nickname – You can address the data in the formula by actual address or nicknames that you have assigned. Formula – This is where you create the equations to solve. 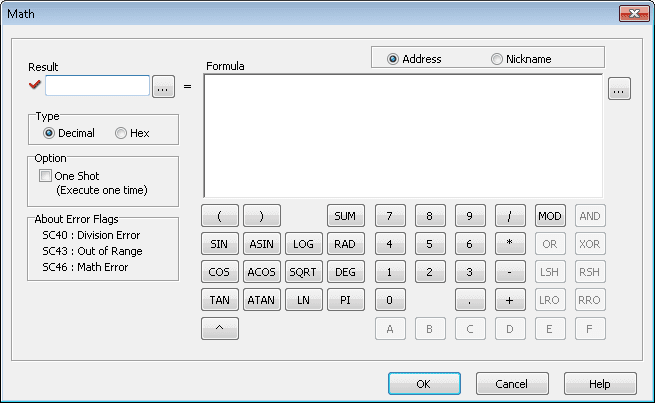 You can type in the formula and use the keypad below for the operations. Note: Look under the help file in the software for more information on the order of operations etc. The first thing that we will do is make an interrupt routine. We can do this several different ways. Right click the ‘Interrupt Program’ under the navigation window will call up the ‘Add New Interrupt Program’. Name the interrupt ‘Unit Count Interrupt’. You will now get a program quick guide to explain writing interrupt routines. We can now enter our interrupt routine. The two rung routine will use the math instruction to add 1 to memory location DS1 and store the result at DS1. 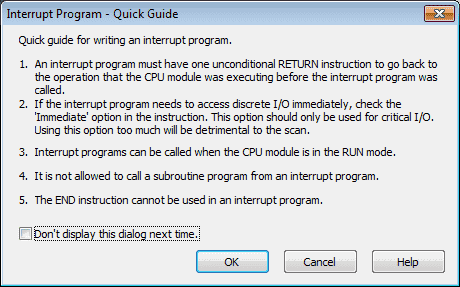 All interrupt routines must have a ‘Return’ statement to signify the end of the routine and return to the spot in the program that was interrupted. For our program we will select Interrupt 1 under the Software Interrupt section. 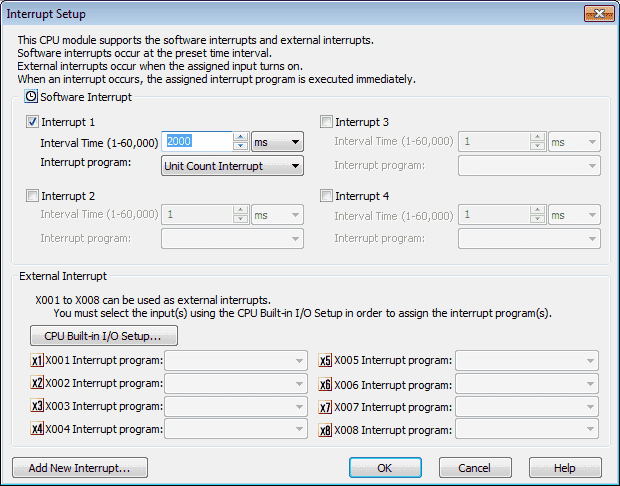 We will set the Interval Time for 2000 ms. (2 seconds) There is a drop down menu for the Interrupt program option. Since we have programmed only the one interrupt it will be the only one that we can select. From this window select the Input tab at the top. We can now select how each of inputs will function. Pulse Catch – This will allow the CPU to see an input which is faster than the scan time. It will hold the signal until the CPU detects it. 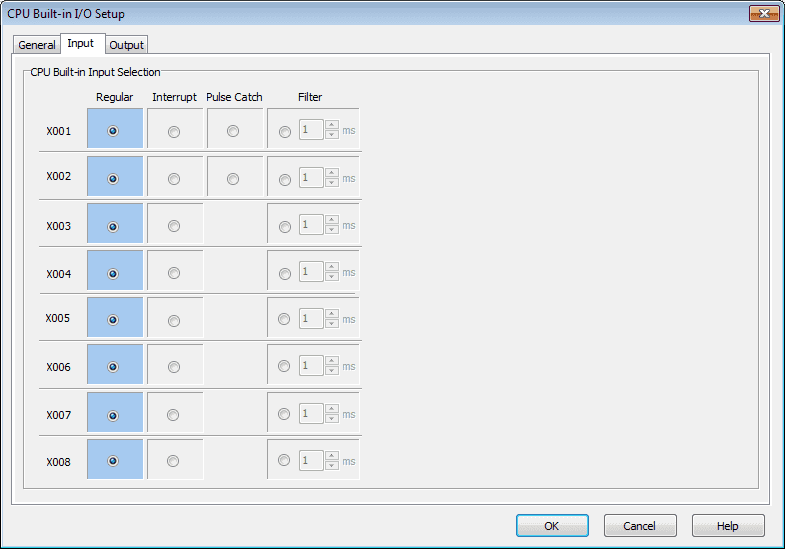 Filter – We can set the filter for the input from 1 to 99 ms. This will allow the CPU to not record any bounces on the input signal. 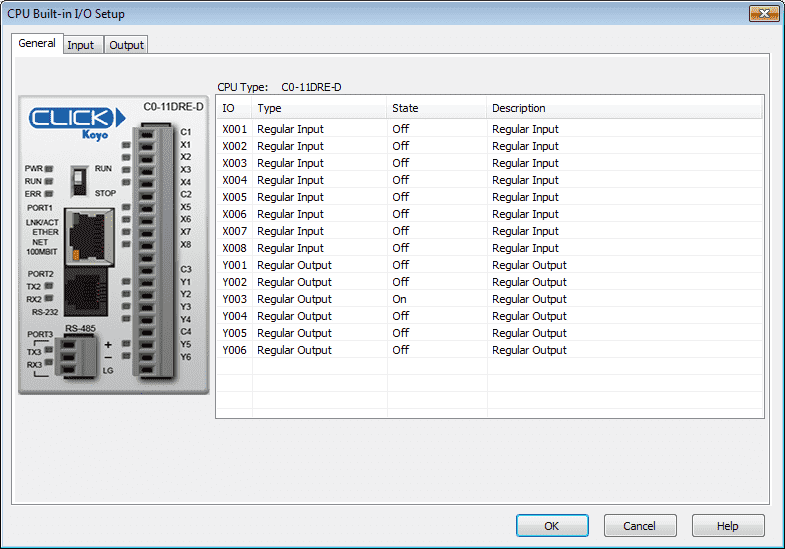 If you are using the input in your program to trigger a counter and you get multiple counts for each input signal then the filter would be used to eliminate the extra counts. The last thing to do in our program is add the math instruction to convert our counts to weight. Our result will be placed in memory location DF10. Notice that the math instruction will automatically convert our integer count value (DS1) to a floating point value (DF10). Next time we will look at program control instructions.